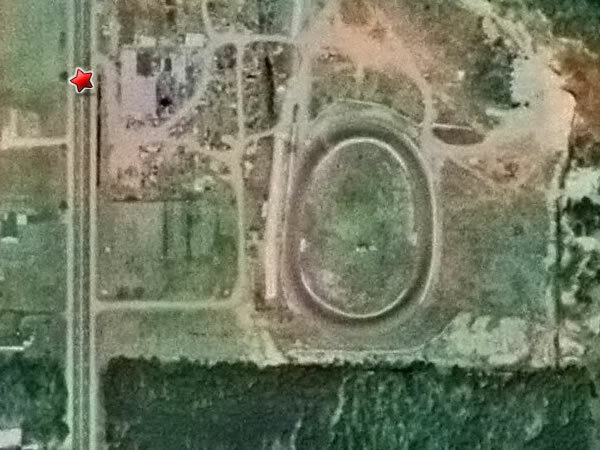 In answer to: 4/14/2014 - Brian Ferguson There's a a 1/2 mile dirt oval about 3 miles north of the speedway and on the west side of US 23 does anyone know what it was? That is the old horse track at the Arenac County Fairgrounds on the west side of Standish. 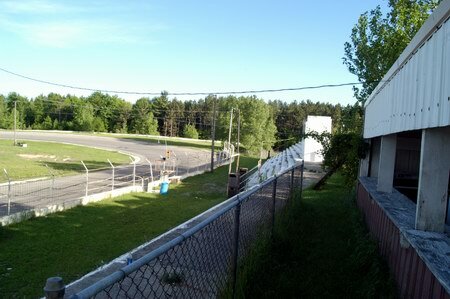 Clarence LaLonde owns the track. I'd try calling their trucking company. 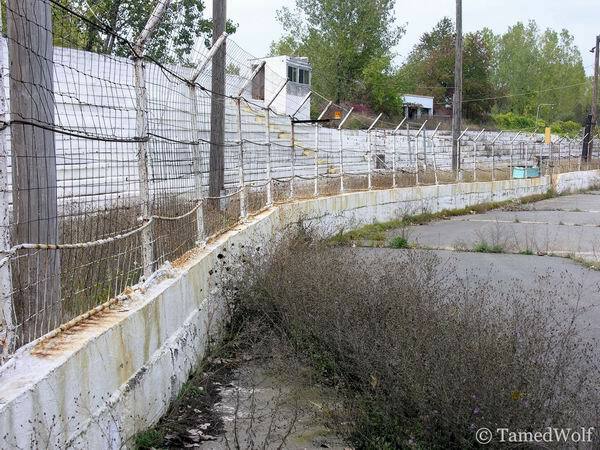 Iam interested in the track would like to know if it is for sale or does the city of standish own it who do i get in contact with my phone number is 313 334 9047 thank you mark s bala. There's a a 1/2 mile dirt oval about 3 miles north of the speedway and on the west side of US 23 does anyone know what it was?. For some reason there are two (2) iterations of Standish Speedway. I posted the following on the other one yesterday and discovered that mine was the only post. I remember attending Saturday Night Races here in the late ''''70s. Just one visit though. As I remember, the track was oiled dirt, 1/8th mile or maybe a little longer. I believe that only locals raced here. We had a ton of fun though!Posted February 5th, 2010. DIRT , DIRT MAKE IT DIRT JUST A THOUGHT. to Demo Rats Racing: the posts you are referring to about ownership are from about 2 to 3 or 4 years ago. And have to say, with all due respect, without doing your own research of the background dates of postings, calling people on here ''knuckle heads is not any way to get positive feedback. I would really like to see Standish make a comeback as well as a few other gems that are laying dorment (i. e. Jackson, Thunder Road, etc). If you know of the status regarding the tracks reopening (dates, classes to be run, etc), please share that positive information. thank you again WatWintWond for this site and the ability to share/relive our memories. 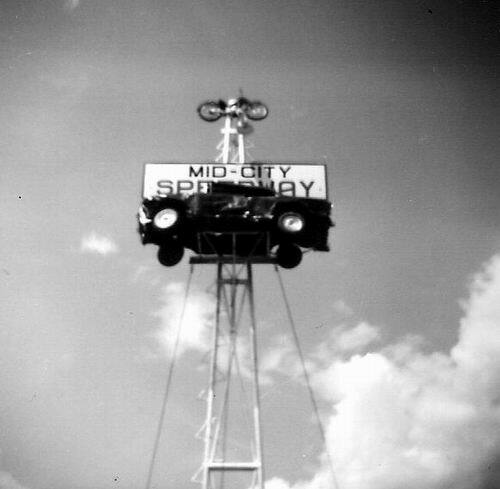 hey nuckle heads wake up and do your research CLARENCE owns STANDISH SPEEDWAY lets try backing him up and get some racing going there again it is not easy running a track maby some local sponsorship and help cleaning the place up could bring life back to a historic track call Clarence or stop in let him know what you want or what help or sponsorship you can provide. REMEMBER in a way this track belongs to all of us, it would be a real shame to let ANOTHER TRACK GO DOWN when theres something we all can do to make it ROCK AGAIN. http://www. mstrc. com/index. php?showtopic=31410According to that post, Standish is seeking racers input for potential bi-weekly / monthly racing in 2010.
i think with the technology of the dirt car thies days standish would be a great dirt track. we do need a good dirt track. need to throw some dirt on it and race. kinda like tri city tried to do. 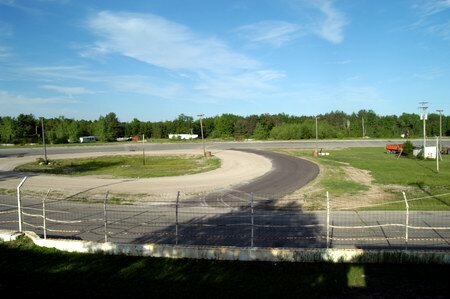 michigan needs another dirt track on this side of 127.
whitamore does a good job as a club. i herd there suppose to build a casino up there then reopen the track with the casino. but that track needs lots of updates. Maybe a small track way out needs to be run as a club (see waterfordhills. com). 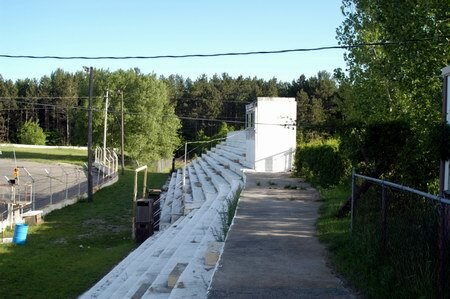 Standish speedway''s last full season was I believe 1997. It ran factorys, mini stocks, pro-stocks, and limited late''s. Didn''t have a banquet. After that for several years all they ran was some enduro''s and invitationals. I ran there in 1997. It is located on the site of Standish Wrecking. I also ran a little on the dirt when Al Stockton was promoter in the 70''s. Clarence took it over, but I dont know at what point in time. I would say a large 1/4 D shape. A challenge and a lot of fun to run on. I know I liked it. I dont think it ran all last summer. A shame cause its a fun track. The bank took the track i joined the military a 2 years ago and i plan to race there again in 2 years after iraq but its closed now im not sure and its paved not that i really care but i loved standish speedway no matter the condition, im stationed in hawaii and haven''t been to any race track in 2 years its killin me, anyone can tell me exacctly what happened e-mail me at xcamaroz28guyx@aol. com or 989-239-9545 thanx Note from the Webmaster - Thank you for your service to our country. looks like dale bittner look at the post the last race was 06 gives #s to same ones i gave you randy. ive been doing some investigating myself and havent found a thing on the net,no old pic. no history. you get more info on here then i found on the net. but im still working on it. see ya sat at the swap meet. 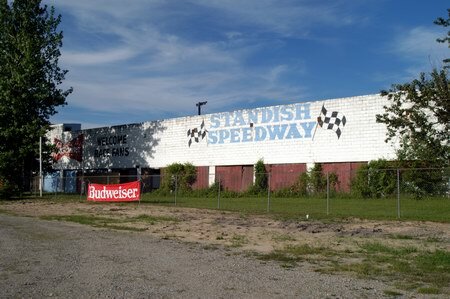 After a little research, it appears to be that Standish Wrecking is located right on the same road and in front of the speedway. So I am assuming that they do own the land. and key word there is assuming. I am not done checking this out. Does anyone know who ''owned'' the track before the bank? and when was the last days of this track. were they open this past summer?. that randy i dont know,i herd the bank took it over. but the property might be with the wrecking company. its a shame another great track gone to stupidity. Which bank holds the lean on this track? Is there a contact # for the Wrecking company to possibly get info? Is the property owned by someone else than the Bank? I can see the business part of this being held by the bank, but the property might be different. Wat-Winter-Wonderland webmaster - please post my submission. you know for 100,000 this track could be in good shape. 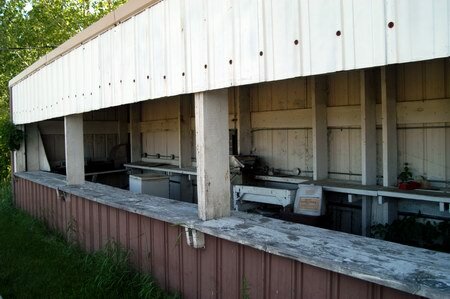 alow coolers and maybe a few venders for concessions. but this track could live again. there was really great racing here. its a sham noone knows how to run a track. i wish i had the money to buy it. renovate and clean out that yard and we would be in business. Well Today Oct. 1, 2007 took a little drive over to the speedway and doesn''t look good. It actually appears as though the Standish Wrecking may be using it as storage. I walked onto the weedy cracked track and the overall conditions of the entire speeday look bleak. I suppose anything is possible. Standish had alot of enduro cars there, but now i heard that it has gone to the bank, the person (s) who owned it couldnt afford it. But it was an alright track lots of cracks and man were them seats hard in the stands, nothin but cement. does any one have any frank seeder dirt photos???. I hope they make a little come back and race some sundays so cars from other tracks would come and race. I know a few people who used to race there and always wanted me to come race but couldn't on friday. Looks like a fun track and hope to run my late model and street stock on it some day. Is this track still open? The last comment makes me wonder. Also I personally love pavement racing, although dirt is good too. I don't understand why it has to be a one or the other type of thing. I think there is plenty of room in the racing world for both. Lest the developers divide and conquer us in the name of mansions and condos. Also I have never understood the seemingly contemptuous attitudes between the various racing disciplines, such as stock, and road racing. All racing is great, although I suspect everyone has their own favorite kind. That said, I would love it if Hartford was paved. I have been to Winston and enjoyed as well, and that's dirt. I plan on seeing some dirt this year. 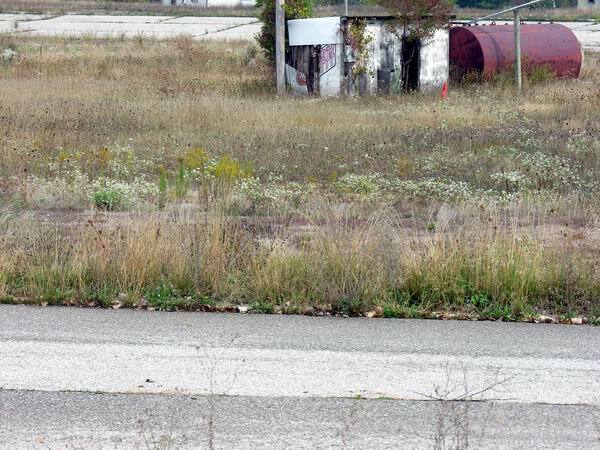 I think it would be really cool if someone ran some dirt races at the two remaining horse tracks in the Detroit area. I would sure go. I think it's really cool that ARCA still runs one of it's Remax races on dirt if I'm not mistaken. Wouldn't it be cool if all the big series like NASCAR ran races on paved ovals, road courses and dirt. Tony Stewart and Kasey Khane would dominate. Look pavement killed another place. does any one have any old dirt photos from standish ? some one has to have some if you could post them that would be graet. The Schedule for the 2006 Racing Season at Standish is as follows: Friday July 14th Friday July 28th Friday August 11th Friday August 25th September Races T. B. A. 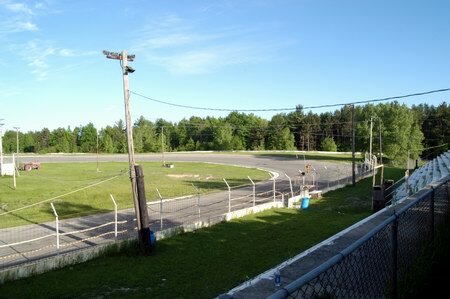 Track opens at 5:00 PM Friday nights Racing at 7:00 PM Enduro Race- Standish Standard Rules Apply/ Stock Mini Stock 4 CYL- Whittemore Rules Apply Stock Class Bump & Grind- Standard Bump & Grind Rules Apply 2 Classes Rear Wheel & Front Wheel Drive. Information: 989-846-6228, If no answer phone 989-876-7775 ask for Dale Lead Sleds Pure Stock Will Run If Get Enough Cars(6 Car Minimum) Dixie or Whittemore Rules Apply Trophies for every class Pit Pass $25. 00 Grandstand $10. 00 Must Buy One Time Drivers License Fee- $50. 00 Concessions available on site Coolers and Alcoholic Beverages Allowed No Glass Containers This is an old racetrack but promotes good racing, improvements are ongoing PLEASE BE PATIENT, THANK YOU. 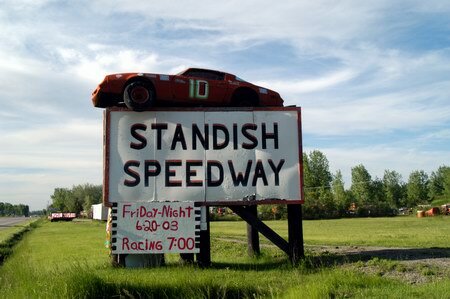 Standish will be racing on Friday nights starting the end of May in the year 2006. Come out and enjoy the fast racing of Enduros. I sure miss the old days when the track was dirt and it drew full fields of street stocks, hobby stocks and super stocks. What shows they put on then I was there the night Gary Fedewa brought his sprint car to run a few hot laps during intermission. I dont think that track ever saw anything that fast. 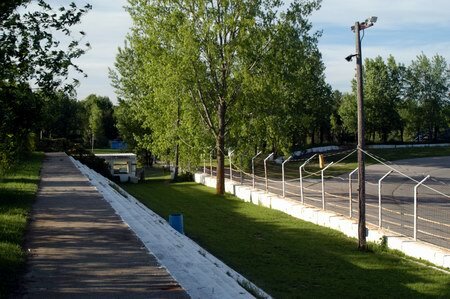 Standish Asphalt Raceway - Standish, MI 3/8 mi Asphalt Semi-Banked Oval Sunday Enduros Phone: 989-846-6228 Directions: I-75 Exit 188, east 2 miles to SR 13 then 1/4 mile south Formerly Known as: Mid-City Speedway. 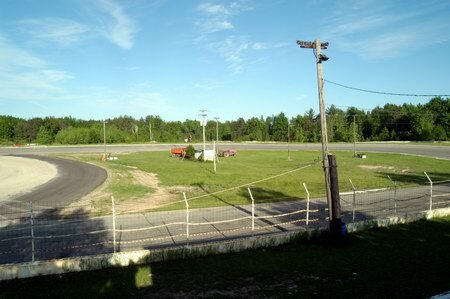 Standish Speedway is now roughly a 1/4 mile asphalt track. It is not fully operational but there are still races held about once a month there. They race enduros, and 4 cylinders mainly. Standish has enduros and some racing every other sunday. in 2004.